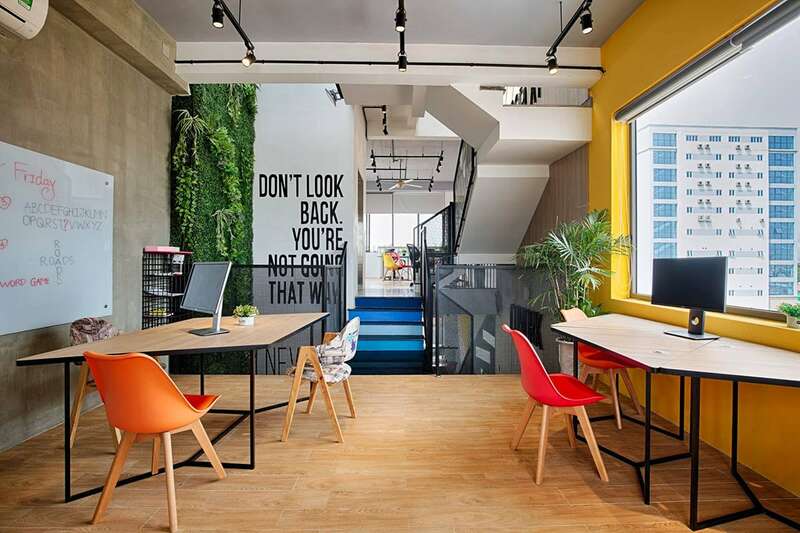 Vietnam’s thriving business scene has paved the way for the launch of many coworking spaces in the country. Enouvo Space is one example. 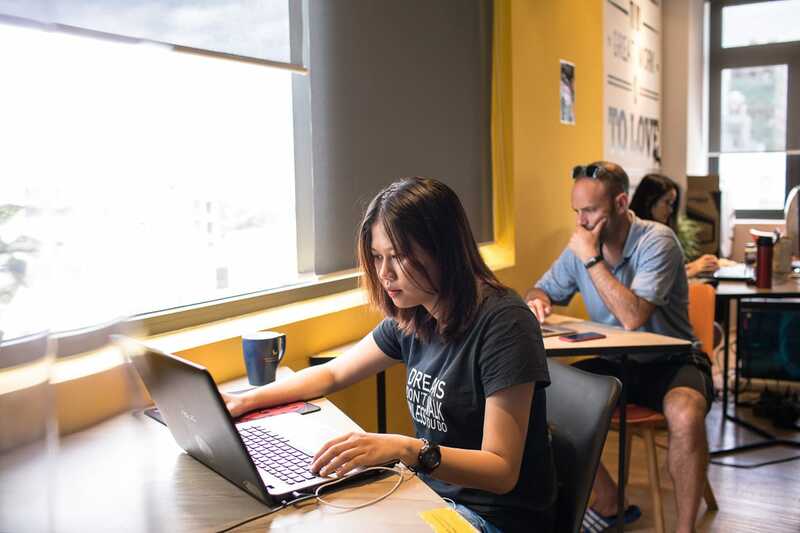 It has been identified by the British Council as a creative hub where guests can “co-work, co-play, and co-break.” Added to that, Enouvo have a central Danang location, a space with lots of greenery, packages from hot desks to monthly meeting rooms…and strong coffee. 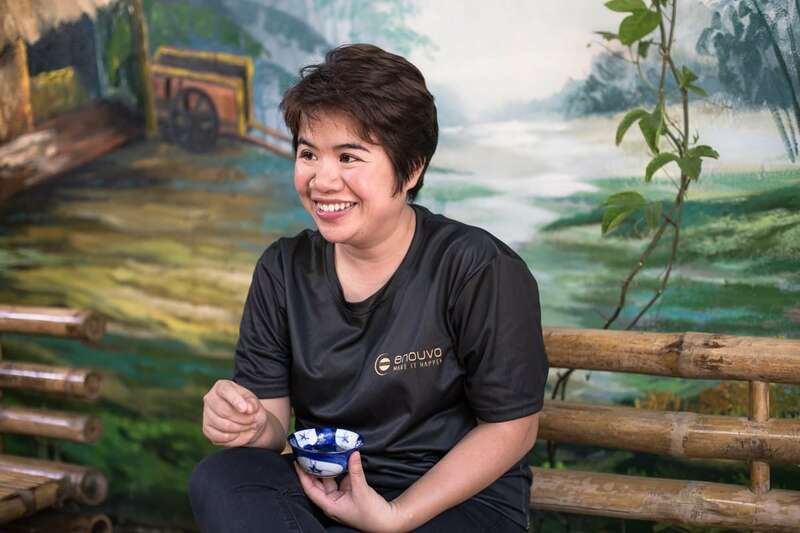 Trang Hanh Tran founded Enouvo Space in 2015 after ten years studying and working in Australia. 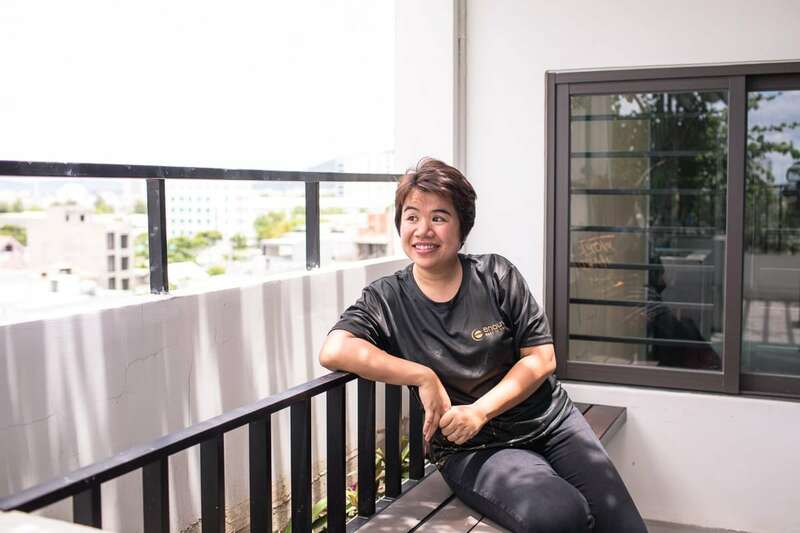 So we headed up to Danang to meet with Tran to understand the appeal of living and working in the booming coastal city, her hopes for Danang’s growth, and the challenges facing women working in tech. 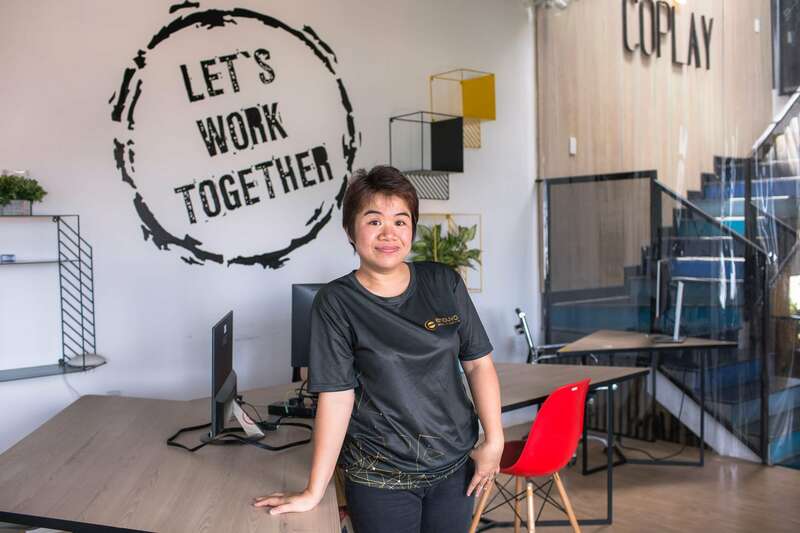 Enouvo Space founder Trang Hanh Tran speaks about her tech career in Vietnam and reminsces about her ten years working in Australia’s IT industry. Tell us about your background and why you choose a career in tech? I was good at math in high school and my father worked in finance, so in 2004 I moved to Australia to complete a double bachelors degree in finance and computing at Monash University. My career in tech really started when I took on some freelance website development projects while I was still a student, and in 2009 I started working at RMIT as a programer analyst. I worked for RMIT for six years, and during that time I had two daughters. RMIT are really flexible, so for both births I was able to return to Vietnam for an extended stay with family and, while I was here, began to set up my IT business in Danang. Trang looks out at the growing skyline from Enouvo’s rooftop at 15 Ta My Duat in Danang. Everyday starts with family. I wake my children and get them ready for school. Next my husband and I have a coffee together to catch up on life. Family and business are usually the topics at hand. My morning routine gets me prepared for the day ahead. At the office, we start the day with a team meeting, and from that point on every day varies. I focus a lot of my energy on project management and strategic planning. I’m always thinking about new clients and increasing productivity. My work day generally finishes around six or seven in the evening. Flexible working hours are central to the work culture at Enouvo Space. The standard Vietnamese work day structure is rigid, and having directly experienced this way of working, I find it demotivating. I want to be a leader, not a boss. So the team here works flexibly and have a sense of ownership. That really helps to boost motivation and productivity. Tell us about the concept behind Enouvo Space? What do you offer? At Enouvo Space we offer daily or monthly hot desk space with strong internet connectivity. The space is open and creative, but we also have rooms available for groups. Our IT team is based in the same building, so IT help and support is readily available. For us it is about offering something more than just co-working. We strive to create connections and bring people together. We offer a productive co-working space that facilitates sharing of knowledge and ideas. Why did you choose Danang as the location for Enouvo Space? I have a lot of love for my hometown. While living in Australia, I would always come home to Danang for the holidays. Even though Melbourne was voted the “world’s most livable city” and we have Australian citizenship, it still doesn’t compare to Danang. Hanoi and Ho Chi Minh City may have more to offer in business, but Danang provides a better balance between work and life. With the beach and the mountains on your doorstep you feel like a tourist everyday. “With the beach and mountains you feel like a tourist everyday in Danang,” Trang Hanh Tran says about her hometown and place of work. Why are spaces like Enouvo important for Danang? There are not enough places where people can be part of a community and experience real synergy. Places that facilitate the sharing of knowledge and ideas are very important for the future of Danang. How you do reverse the brain-drain effect of skilled people moving to Hanoi or HCMC? People that move to Ho Chi Minh City or Hanoi are often attracted by bigger projects and better pay. But the big cities can’t compete with the standard of living in Danang. When people value their health and quality of life, Danang is the better choice. I think that the brain-drain is beginning to reverse. There is still more to be done to make work opportunities in Danang more attractive. For example, more investment is needed and more companies like Enouvo Space need to be founded. We need to get the message out there that Danang offers work opportunities and good salaries combined with a high quality of life. The hot desks at Enouvo Space are an innovative and creative place for remote workers of any background. Do you think there is a lack of women in the Vietnamese tech sector? Is so, why do you think that is? Cultural values are a factor behind the lack of women in the Vietnamese tech sector. Parents often choose a career path for their daughters, and it’s pretty common that they look for something that is secure and also considered suitable for women. For example, I wanted to be an architect, but my father said I couldn’t compete with men in that industry. He suggested finance instead. Although I was stubborn and strong, I’m still influenced by my family. What are you doing to promote and support more women in tech? There are a few things—I have a balanced approach to recruitment. When taking on interns, I always take two men and two women. Raising awareness that working in tech is a valid career option for women, particularly at a younger age is crucial. More information, events, and the creation of a supportive community will help to increase the number of women choosing a career in tech. 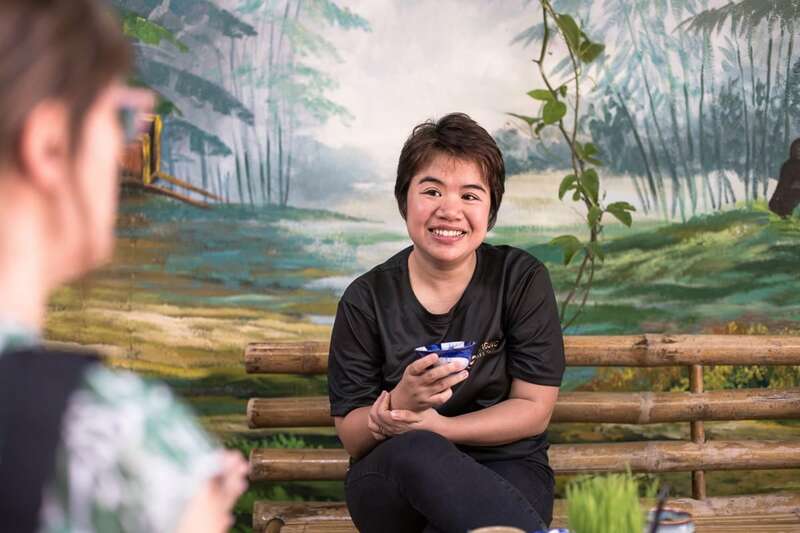 “Cultural values are a factor behind the lack of women in the Vietnamese tech sector,” shares Trang Hanh Tran about her experiences working in a male-dominated industry. I spoke at the Women in Tech event at DNES, and would like to build on this by creating a female-led community in the sector. In Vietnam, what are the challenges for women working in the tech industry? Again, traditional ideas around gender roles, particularly with the older generation can bring about challenges. The idea that men can do better and women should stay at home prevails. It is getting better, but I still experience clients talking to my husband instead of me even though I am the manager of the company. I feel like I do have to work harder to convince someone about a new idea or proposal. These values actually motivate me to work even harder in order to challenge them. What advice would you give yourself if you could go back ten years? I am 34 now. At 24 I don’t think I ever would have imagined I would be a manager of a tech company. You can achieve more than you ever think possible! But, if I could go back in time, I would tell myself to spend more time learning about the tech industry and be more motivated about self-teaching. I was a bit lazy when I was younger and feel like I fell behind with programing experience. Now I have lots of ideas but not enough time. Tran reflects on her achievements while filling us in on her detailed plans for the expansion of Enouvo Space. Summer Le (Le Ha Uyen). She is the famous chef and owner of Nen Restaurant. She is very talented and inspiring as well. 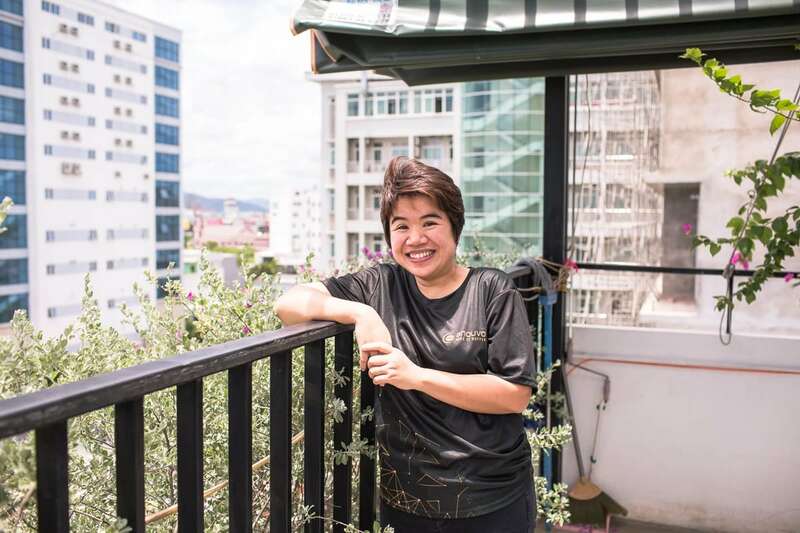 She co-founded the Danang Cuisine website with her sister, Helen Le, which is popular for Vietnamese living outside of Vietnam. It provides them with more information about Vietnamese cuisine. [Video] Shark Tank’s Linh Thai: Are Hard Or Soft Skills More Important For Success?